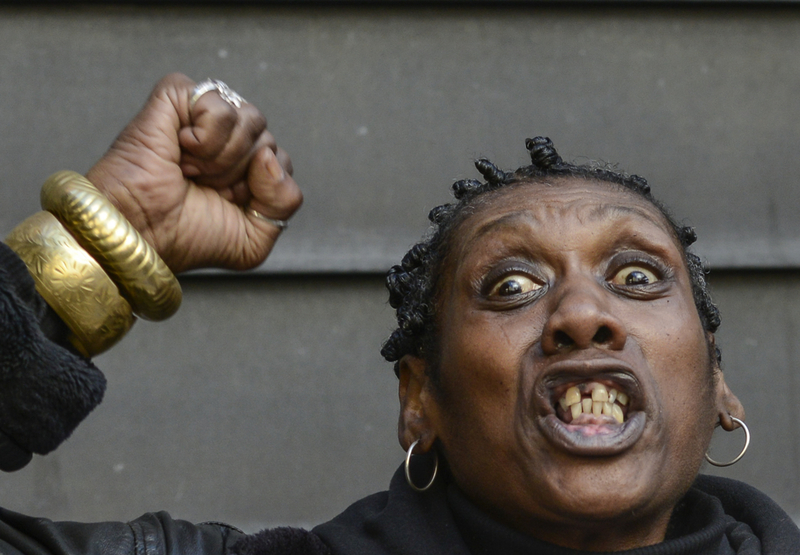 Former drug user Elizabeth Owens, 58, joins people with a history of drug use, the formerly incarcerated and people living with AIDS, all identifying as "victims of the drug war" as they protest across the street from NYC Drug Enforcement Administration office located at 99 10th Avenue in Manhattan on Friday, March 18, 2016. They describe its role as perpetuating the worst of drug war policies, including mass incarceration of people of color, fueling violence abroad and fighting scientific evidence and public health needs in order to wage the drug war at all costs. Protestors drop a banner that reads "Just Say No to the DEA", followed by blocking traffic along 10th Avenue.